I've seen that problem in Mac's forum I think, take a look there. Problems in Developer 46.0.2590.0 too. 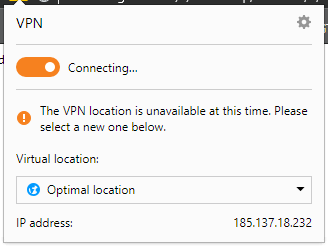 Seems to be a problem in Opera's VPN servers.